Today, the classic Alfred Hitchcock thriller, Psycho, turns 50 years old! So, what was so special about a movie released 50 years ago? LOTS!!! Hitchcock was a genius – master of suspense and psychological thrillers. Several failed remakes and sequels later, the original film is still the standout example of classic thrillers. Not a lot of people realize that the story was based on a REAL LIFE serial killer from Wisconsin – Ed Gein – and that the movie was adapted from a book by Robert Bloch. Just a bit of mindless trivia…. 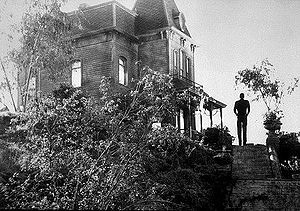 The Bates house is still one of the most famous houses in movie history! It is a popular attraction at Universal Studios in Hollywood. I visited the theme park several years ago and when the tram took me past Norman’s house and the Bates Motel, I got chills remembering the scenes that were filmed there so many years ago – even though seeing it in broad daylight (as seen in the second photo below) wasn’t anywhere near as menacing as seeing it in the film! My personal memory and experience watching this film came some years after it was released – afterall, I was only 4 years old when it was released and it wasn’t the type of movie parents would take a 4 year-old! 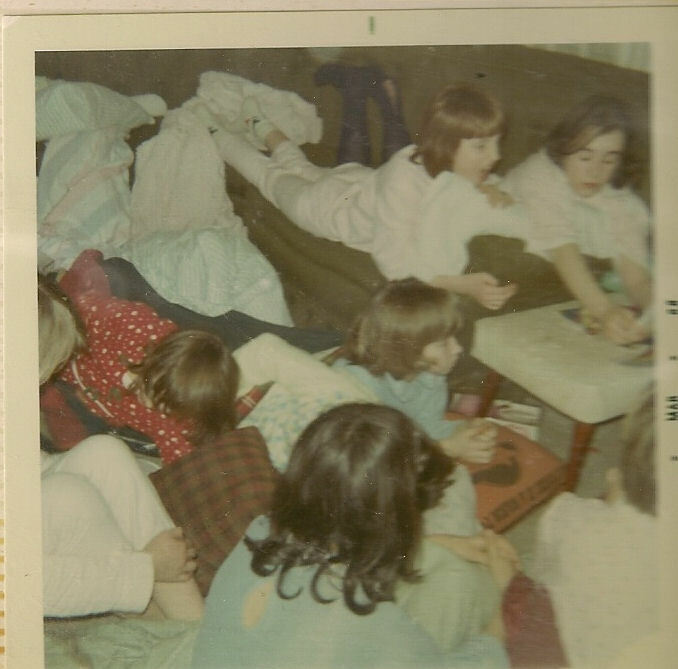 The first time I saw it was in 1968 when I was in the 6th grade. 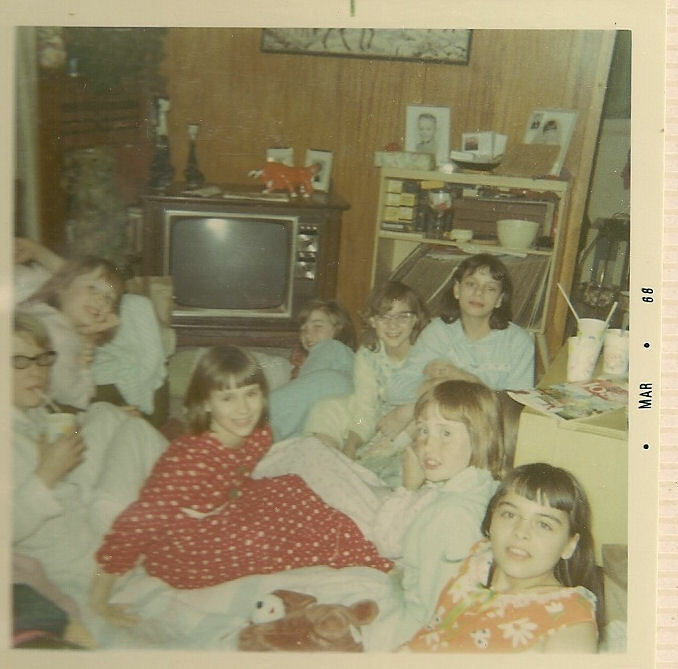 I had a slumber party that year and invited a boat load of girl friends – all of my female classmates from Waterport school, some neighbor friends, and a couple other girl friends. 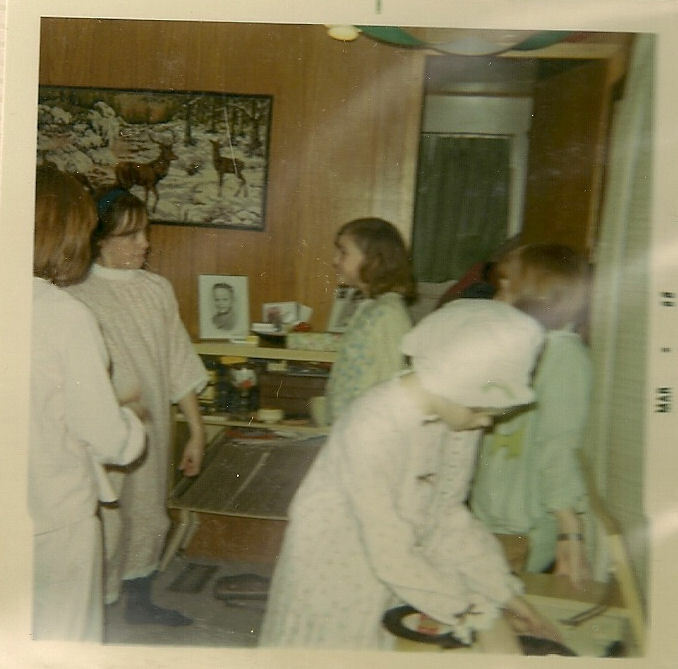 The house was crammed wall-to-wall with young girls – dancing, playing records, making root beer floats, giggling – all the things a house full of young 12 year-old girls in the 60s would be doing! 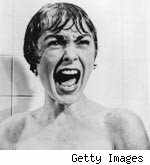 To this day, I get nervous taking a shower anywhere there is a shower curtain and I can not see out to see who may be coming up on me! Clear shower doors are my preference! 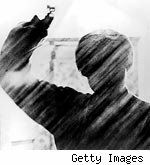 For your viewing pleasure – here is the original movie trailer and the infamous shower scene – enjoy!